This poem, like many from that time, are non-fiction poems, as it were. I am sure that these are a form of poetry that has already gotten going, but I wanted to draw some attention to it. The oiece as a whole was a little personal. Often I am wary of calling these poems. For me, the act of editing these is a hard undertaking so often they stay the way that they are for a long time. This one was a little over a few years old. There is nothing harder than taking apart the truth about an event. When it comes time to taking these apart remember a few key thoughts. 1. 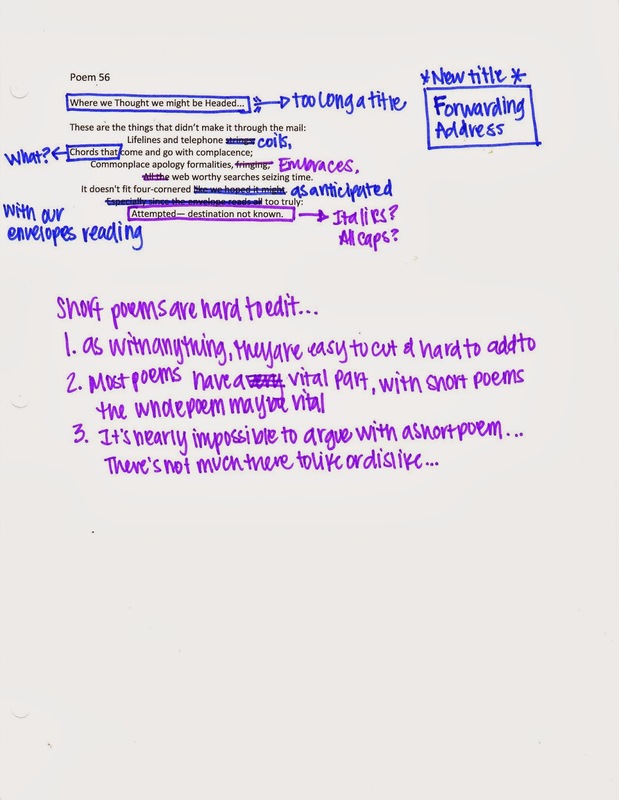 Changing the content of the poem does not change the moment, so make the poem as independently interesting as the moment that inspired it. 2. Edit in the lense. Like a photographer sharing the world of their photograph, include just enough to tell a story but not too much to distract from the point. 3. There should probably be a point. Or some kind or relativity that makes telling the story meaningful. 4. Don’t be fooled, this doesn’t mean there needs to be a moral or a meaning, just a pivotal place to make a mark. 5. When that mark is made offer some truth that can be universally appreciated. In this case, the moment, freed of all the emotional crap and heartache came down to several returned letters, and as a metaphor to the feelings we had of miscommunication and misdirection warned us of a truer ache, that we were unsure of where we were going and therefore had no idea of how to get there in one piece. That is the story I brought to the table here. After a little time reality came to the surface, just as we always hope it will. 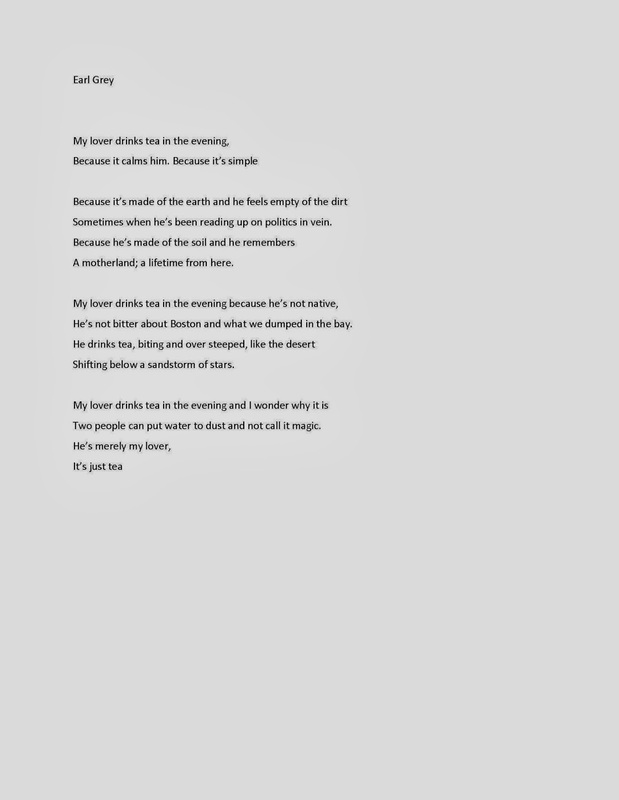 This poem, a moment in time pulled from true circumstances of a real life, benefits from being liberated from the grubby realness of sadness and angst, and instead finds a strong center in a simple lack of knowing the trajectory. Take this thought to your own work and see if you can file away some of that singularity for a universal effect. 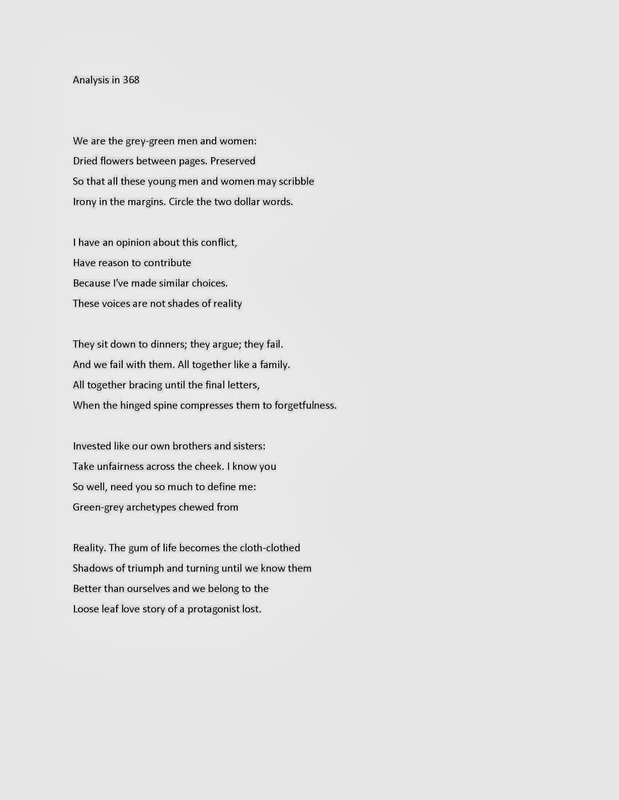 With a personal non-fiction poem we are not so worried about remembering the tangible, since it is in fact a true event, but instead want to transcend the plain-ness of raw emotion in favor of something shiny and metalic. Sorry to have been so missing lately, there were a few things on my list unchecked apart from the impending holiday. I want to share with you the collection I sent in for my MFA application, the climax of the small editing project I undertook here. Of course I will be finishing the edits on the final twenty poems so you can see what it looks like to pick apart some more edited pieces. After that I will talk about what kinds of things to look for when arranging chapbooks and other quirks of piecing together groupings for publication. Then we can all go on a merry journey of self publication, if you would be so inclined. Though that is a little ways off (maybe a few months) I want you to all be here for each step so you can understand all the processes and hopefully appreciate the product a little more. So, here is the collection, enjoy! Below are a few comments about why these were chosen, the collection was titles [For Skeptics] because of the tendancy to simplify the magnificent and laude the mundaine. I love this poem for many reasons. I began and ended the collection with some relatively new ones to ground my style and establish a baseline for some of the more mature pieces. It was a risk, as I prefer to have more time with poems. 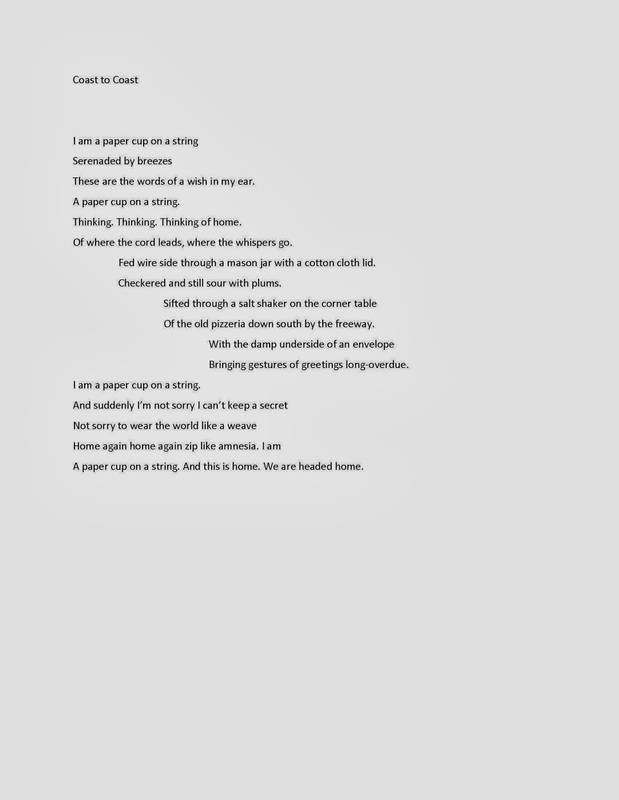 This is a first draft (relatively) and the effect is still a little raw, however, it acts as a statement of purpose as a poet and a collection, so it was an easy first choice. This poem is old, a few years in fact. As a strong second it establishes a control of line as well as a fun upbeat followup to the first. This poem also comes crisp and cut so there is no need to worry about wordiness or dragging right at the start. If you’ve been following along this whole time you will know that this poem came as 2 parts from the beginning. 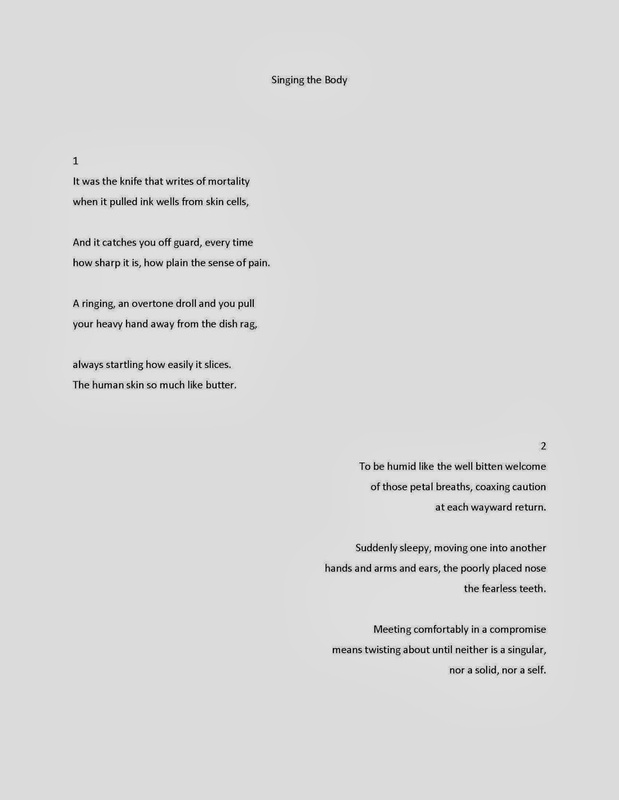 I wrote it a few years ago and spoke to an up-and-coming visiting poet who recommended I cut away the beginning, but then retracted saying it was interesting and perhaps leave it… That was the advice I was always getting for the poem and so I would present the first section with a strike through to show change. That felt a little gimick-y for the selection and instead I thougt it best to bite the bullet and kill my darlings. I also love this poem. More on the story side it really emphasizes my work with climax and deomonstration of buildup. So often poems live at face value, and the use of a strong buildup not only helps to show dynamism but control of a different form. 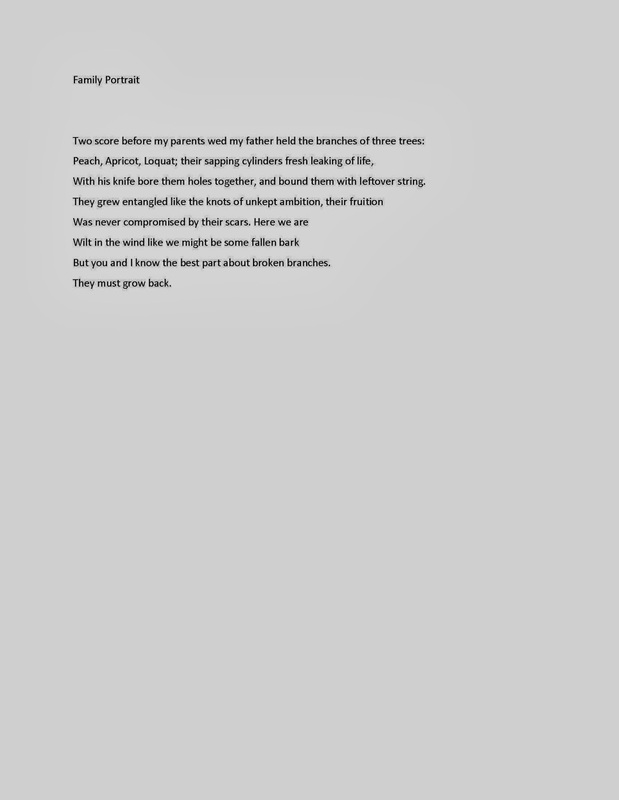 This tamest of grief poems was a little indulgence I gave myself when putting this group together. I often write about loss, and the loss of this friend in particular. I thought this was so easy to read and see, and the piece had come so far it practually deserved to be included, that and the imagery almost makes you ache. 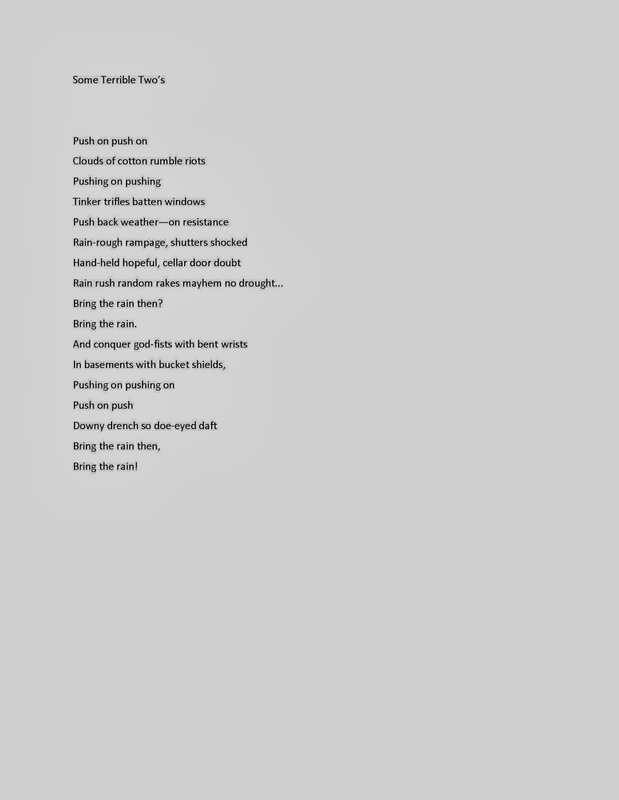 Another new poem, this one just over a year old really corners the market on that sense of skepticism, which is the name of this collection. I talk often here about norms and this one really hits it on the head. Creating a sense of wonder and undermining it with basic fact allows for this piece to feel more complete than it probably is. Readers these days prefer a little shock and awe, and in its own way this one really delivers. 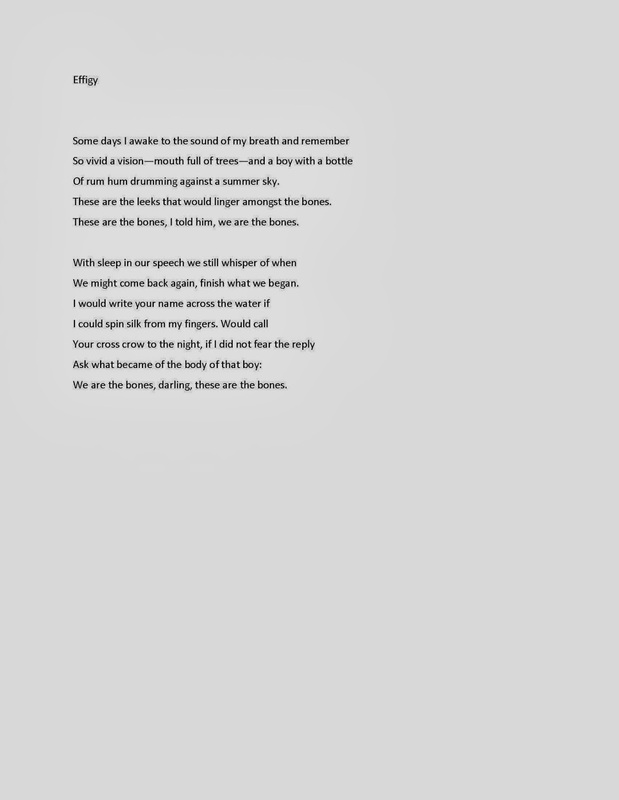 The broken sonnet. 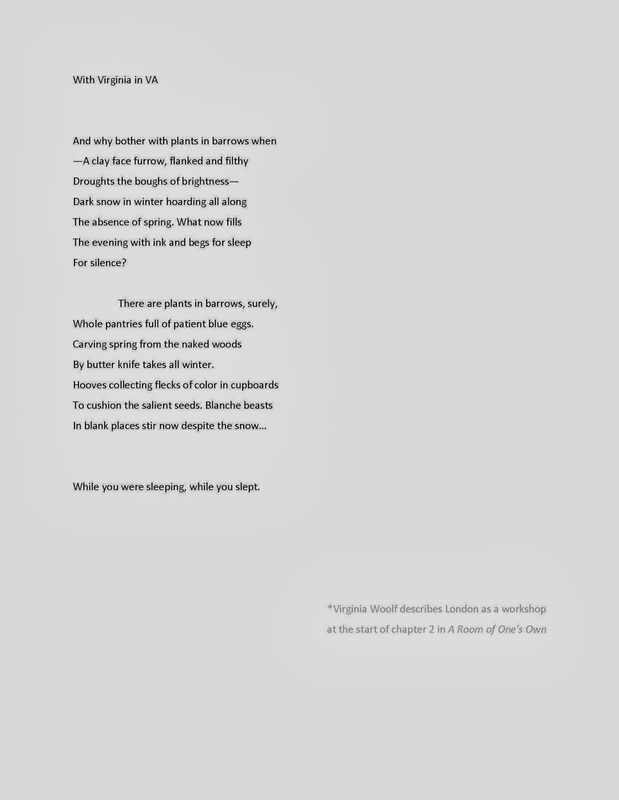 This poem lives in my heart, I love how complete and clever the whole thing turned out to be, especially with Woolf in mind. This poem satisfies in a way I am particularly satisfied with a repeated “stopping by woods” frost feel at the end. There was no way to exclude this piece, especially since it reinvents winter in such simple way. 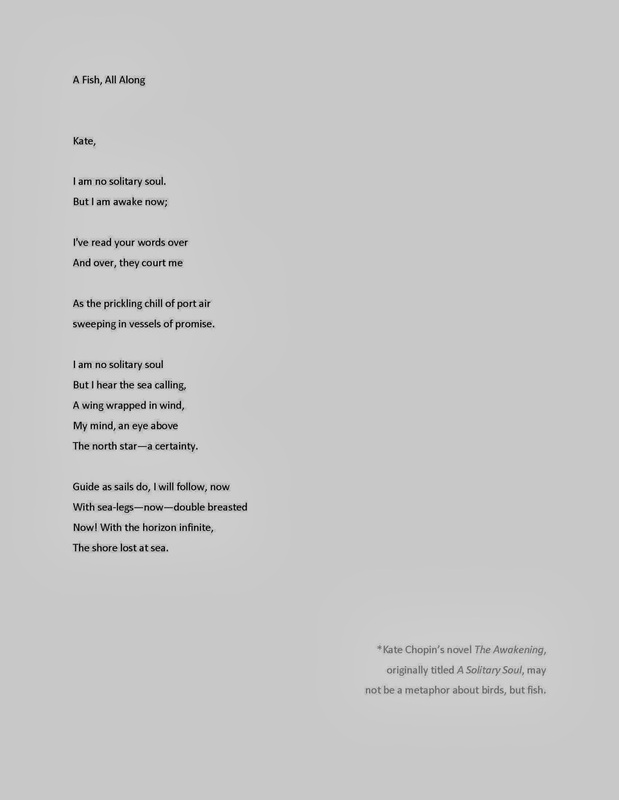 This poem I love. It turned out so great with just a few switches. I wrote it during a time of great unrest and that still shows thought he metaphor and theme have been tamed a bit. There are no real itchy spots in the couplets, and though there may need to be a tweak or two, the overall feel is lovely. Tell me about the body. I love the way this set came together after some work. For years I have really struggled with the first and once that code was cracked I was able to tackle the second. In my collections, now that I can really see them from overhead, there appears to be a rising trend of twins. For every poem there seems to be another that belongs with it. I will be exploring that with you all as I work throught the upcoming collections. This poem amost didn’t make it in. 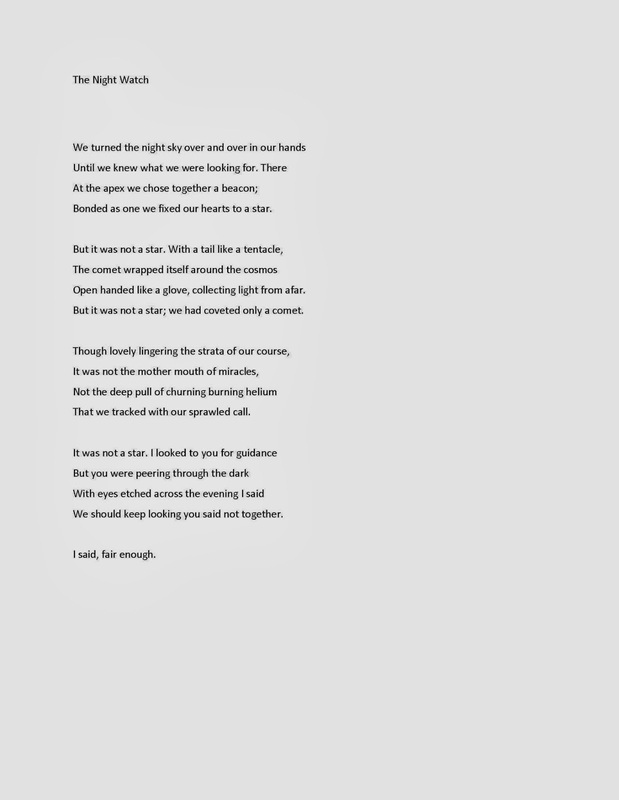 It started as a terrible repettitive poem and became something I’m quite proud of. I love the madness, the stress, the conflict, the pun, the reference to Tolkien, the second person, the inner flame, the pathetic fallace, everything. And suddenly it didn’t make sense to cut it out. There are poems that suprise you, and this is one of them. 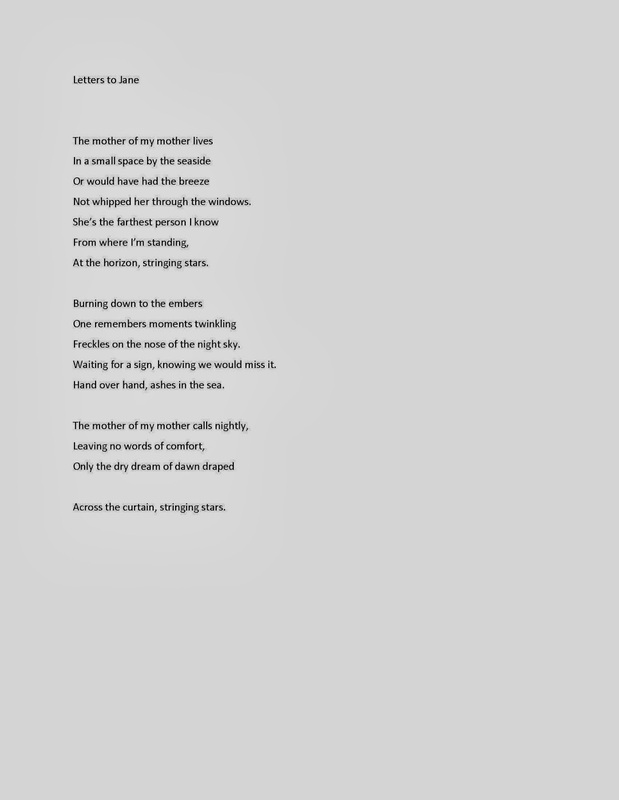 When I revised this poem I knew something had changed. I knew it felt better, stronger, more content and less basic. Only when I was printing a draft for final review did I see that the stanzas desintigrated in perfect prime numbers. 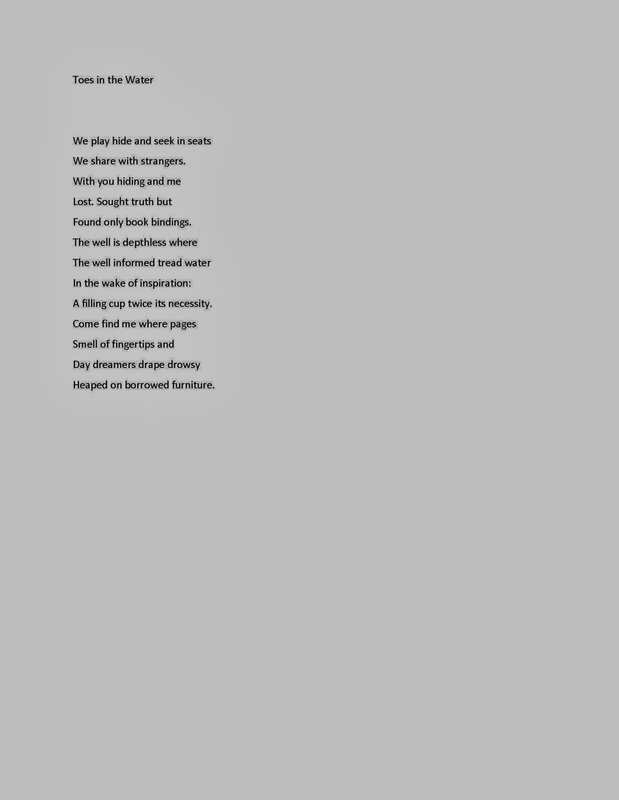 It is poems like this, poems that come into being outside my cognition that I am a writer. It was such a drastic improvement it only felt right to include it in the selection. 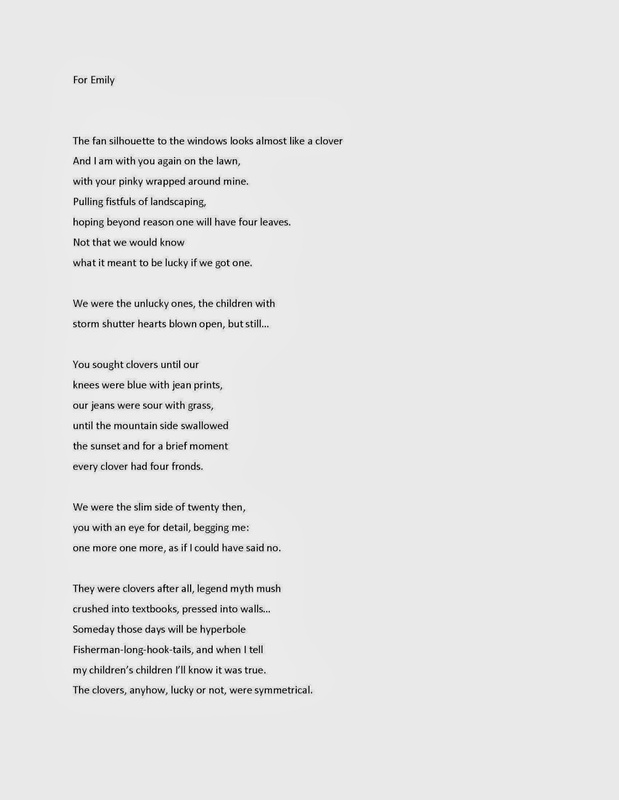 This poem has only seen seven words of revision. Though it is over two years old there was never any good way to change it. Normally that makes me uneasy, but in this case there was so much going on it seemed right to leave it be. It belonged in the collection as a perfect hybrid of my rambling Whitman and my stop-heart Pound. Or at least I thought so. I wasn’t going to include this poem. I actually took something else out to put this in. I was always a little skeptical about this airy piece, but after work one day JK read it to me in the parkinglot and I was mesmarised by how differently it sounded coming from someone who believed in it in a separate way. So in reference to my biggest fan I included it, because let’s be honest there are people who understand us better than we do and we just have to believe them… or why else do we write poems. For my lover, this whole collection would be a random mess of old blog post without him. There are so many ways to rearrange a life, like shuffling a deck or cards, but with him I always know there will be four of each in that deck. So nomatter what card comes up next, there will be 51 after, and in a little while we will find our stride. This poem, like the first was an easy pick, a good ending with a strong satisfying closing line. BD you inspire me now and always, and I wanted to collection to end with you. These are the pieces I sent in as a writing sample. 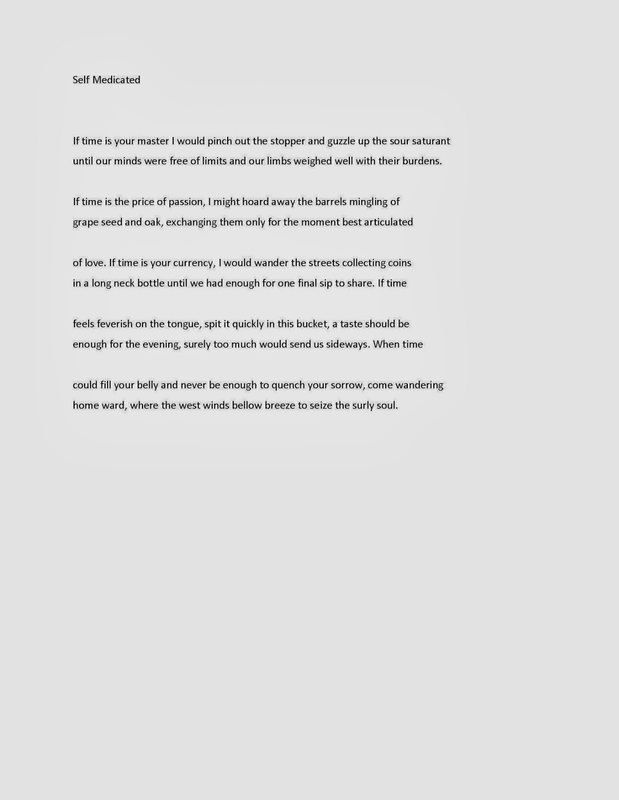 With 10-15 pages to work with I chose 15 poems on 14 pages hoping that would be safe. I would love this chance to be a grown-up writer, but if not CBTL and I can keep pumping out the lattes. Please feel free to comment, share or otherwise. As always, you will be in on all the process so you can feel a little closer to the poetry, and maybe the poet. Thanks for reading, and as always keep writing. I put all my eggs in this basket, because I’m not making two trips. So I’ll bring in the produce with a little perspective, and watch where I step.